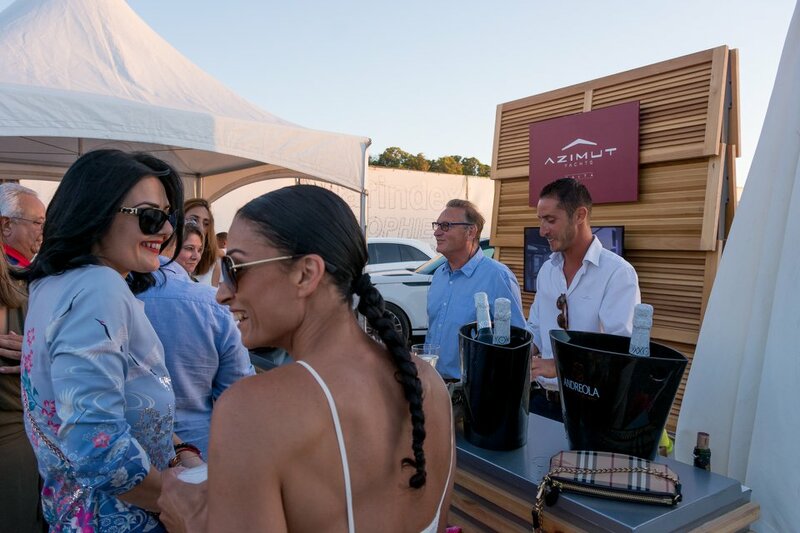 Esprit Yachting hosted the successful Azimut Lifestyle Week between the 31st October and 7th November, at the Marina di Valletta. 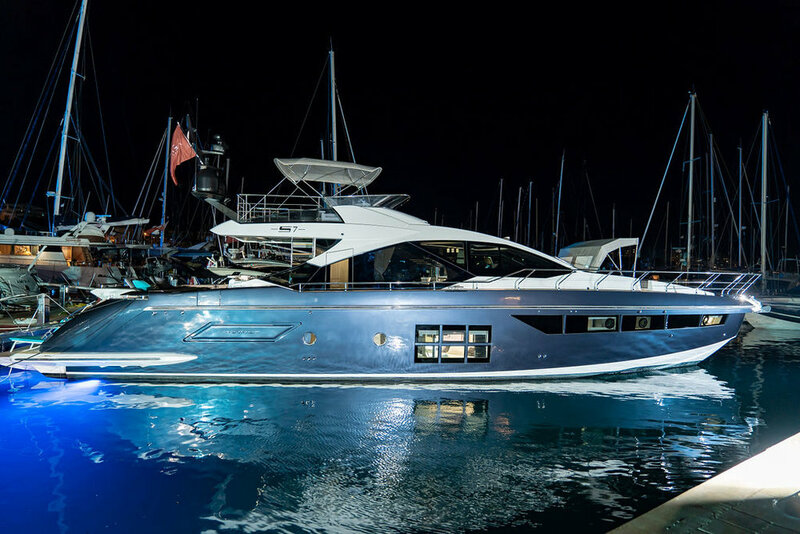 The Azimut Lifestyle Week premiered four new models which included the Atlantis 51, Azimut 60 Fly, Azimut 66 and the S7. Joining the fleet where other Azimut models including the Atlantis 43, Atlantis 51 and the Magellano 66. The fleet is an outstanding example of Azimut’s unique style and attention to detail. 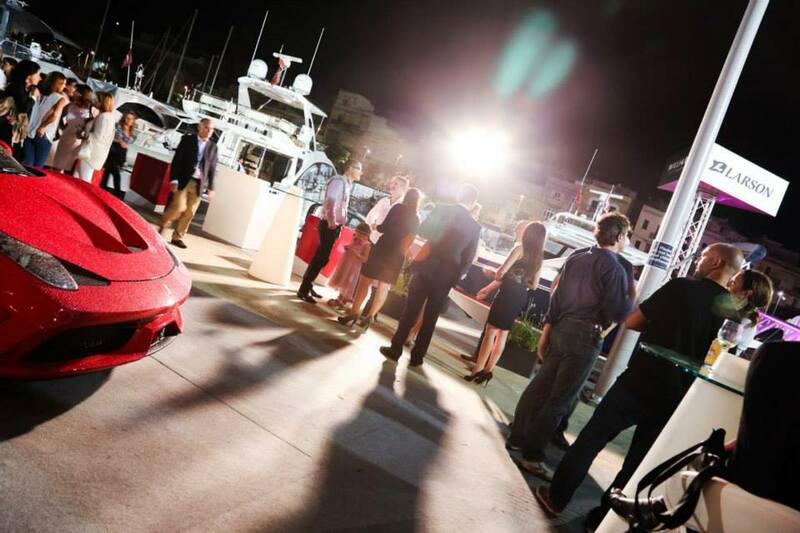 The Dolce Vita evening event, celebrated luxury, joie de vivre and the latest generation of Azimut’s style and design. 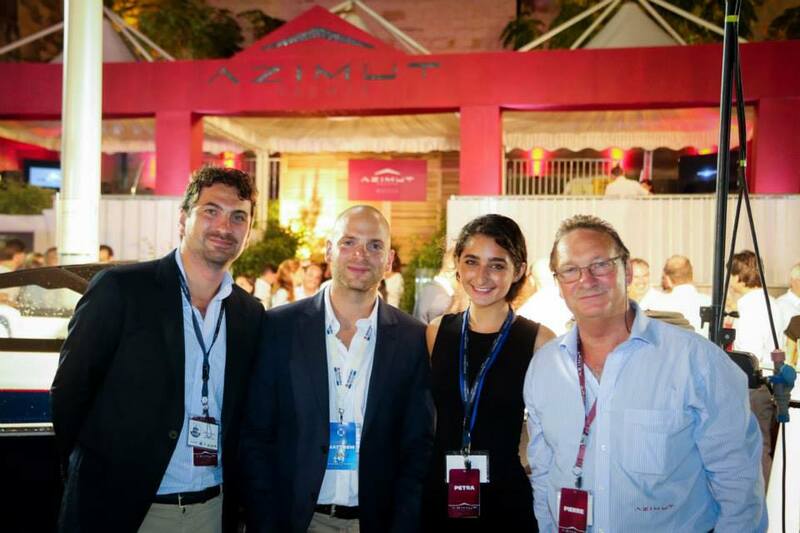 Esprit Yachting have been awarded Best Customer Experience Award at the 23rd Azimut Dealers Meeting in recognition of our success during this year’s delivery season. 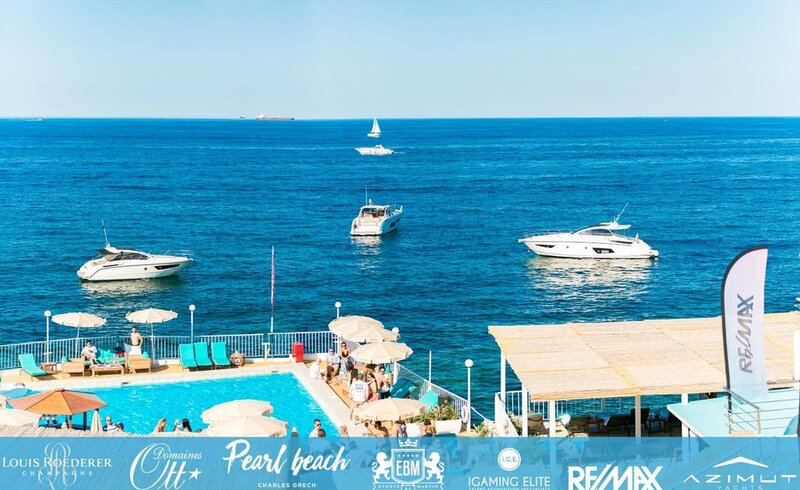 Monopoli, 25 June 2018 – The Azimut|Benetti Group has chosen Puglia for its eleventh exclusive Yachting Gala, where the communities surrounding the two brands comes together every year. The region National Geographic called the most beautiful in the world was selected as the location for this prestigious event, attended primarily by yacht owners from all around the world, with the aim of offering all the guests an exceptional experience made unique by the colours, flavours and the sparkling atmosphere of this area. The exclusive international parterre took part to a rich programme of events, starting with a cocktail reception in the splendid halls of Monopoli’s Castello Carlo V and a private viewing of the exhibition of artworks by Joan Mirò. Over the weekend of 23-24 June, the spectacular waters off Monopoli hosted a parade of yachts from the Group’s fleet, including the new Azimut S6, which will make its official debut in September at the Cannes Yachting Festival. Overlooking the bay, this year’s Azimut|Benetti Village staged entertainments of all kinds: sea trials, seabob racing, a gaming hall offering roulette and blackjack, exhibitions of jewellery and clothing from the most prestigious Italian designers, live shows by master tailors and signature shoemakers, and much more. One of the main attraction was the lunch time with a true feast of flavours, with all the finest local specialities. And the guests could also have the chance to discover Monopoli’s secrets and admire the reefs of Polignano a Mare. Thanks to Pugliapromozione, the local tourism organisation, which the Group selected as destination partner, guests could see the photos of the event posted on their Instagram feed transformed in real pictures in the style of an old Polaroid print, thus blending analogue and digital; they also wrote and sent real postcards of local landscapes to recapture the feeling of communicating in a non-instant, but this very reason, more thoughtful and precious way. 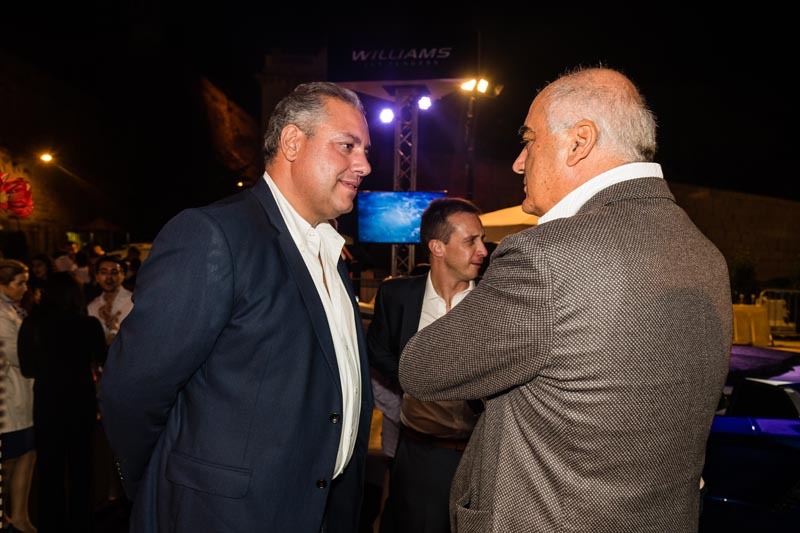 The piazza and atmospheric narrow streets of Borgo Egnazia was the setting for the gala dinner on Saturday. This magnificent resort, a favourite destination of the international jet set, hosted an extraordinary gastronomic experience culminating in the Festa del Borgo – an exciting tribute to the region’s festivals that transformed the main square into a theatre of folk music and dance sure to engage and involve everyone present. And to round things off, digital effects, spectacular pyrotechnics, and international star DJ sets for the late-night revellers amongst the cosmopolitan nautical elite. Doing the honours were Paolo and Giovanna Vitelli, respectively Founder-President and Vice President of the Azimut|Benetti Group. Therefore it is confirmed the importance of this event that, year after year, strengthens the bonds between the Group and its customers, thanks to a proven formula that also remains fresh with new experiences and surprises every time. 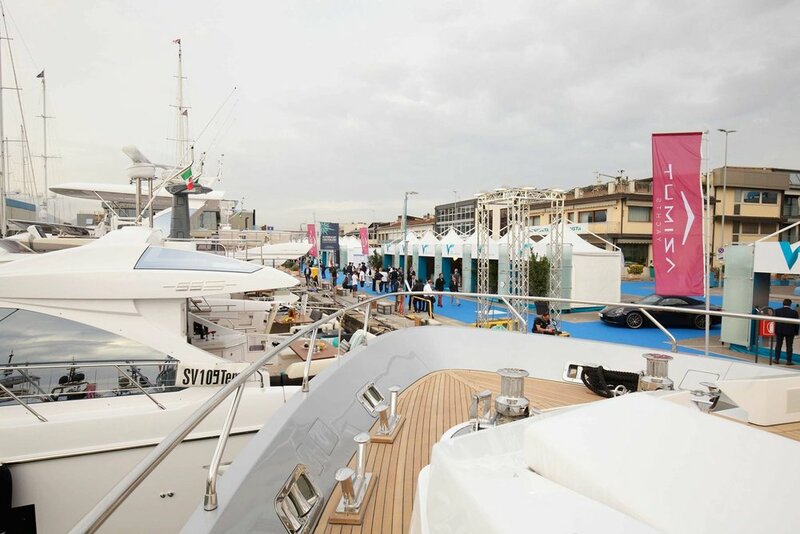 Esprit Yachting was once again present at the largest boat show in Europe. 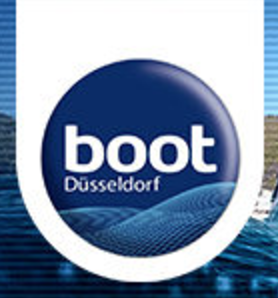 Boot Dusseldorf is the ultimate maritime adventure in the middle of winter. 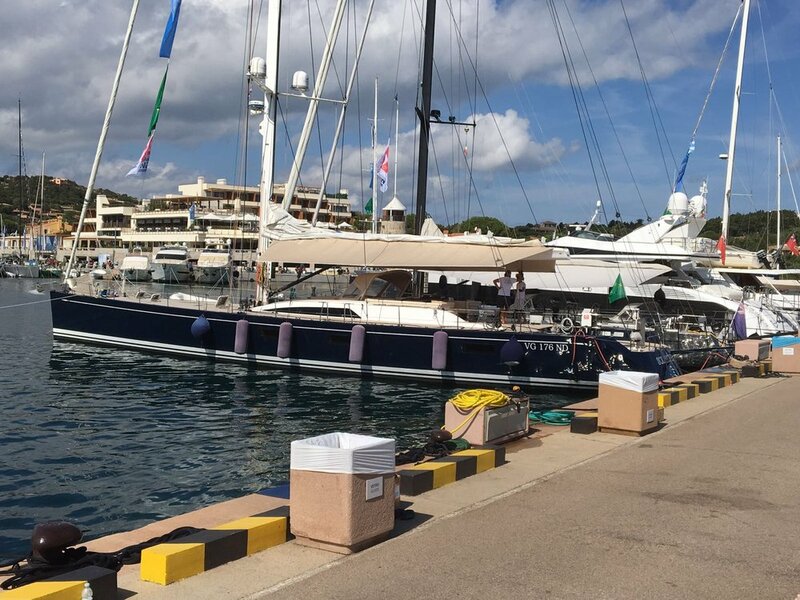 From superyachts to small dinghies, boats of all shapes and size lie at anchor at the boot 2018. This unique presentation of new boats and yachts have just the right boat on offer for every taste and budget. 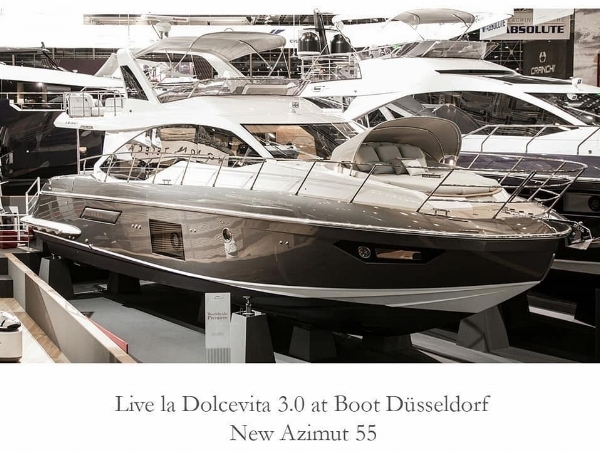 The new Azimut 55 Flybridge World Premiere at the 2018 Düsseldorf Boat show. The most chic 55 on the market. 3 Cabins | Galley Aft | Achille Salvagni Interiors & Exterior Furnishings | Ahead of the game. The new Azimut Atlantis 51 World Premiere at the 2018 Düsseldorf boat. The largest | The fastest | That distinctly Italian Azimut Touch | Immediately Best in Class. 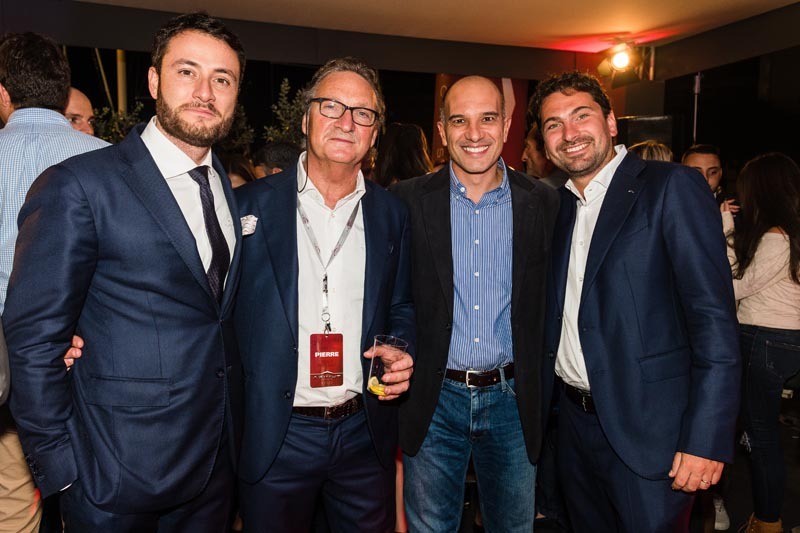 A reception, on the group's stand at the 2017 Valletta Boat Show, was hosted for the launch of La Dolce Vita 3.0, where we welcomed our trusted partners, esteemed clients and their guests. 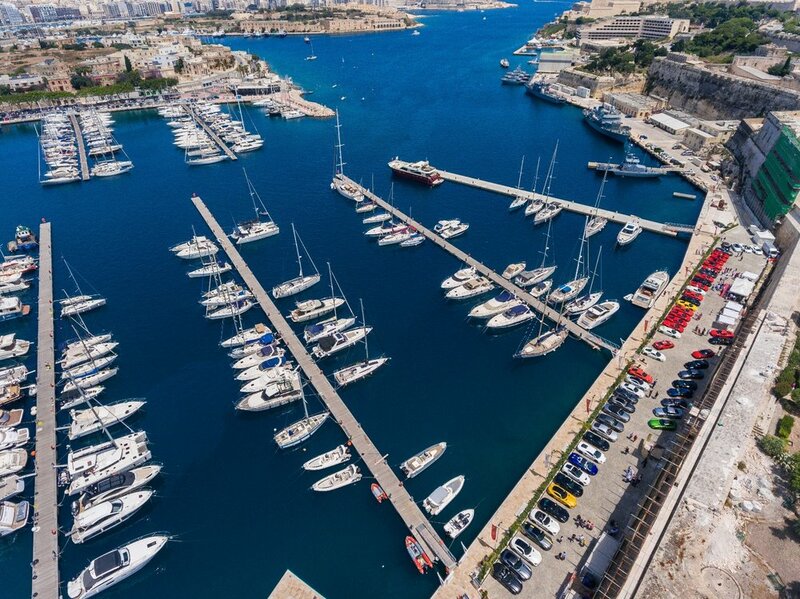 Our very own Marina di Valletta hosted Malta’s largest on-water boat show – The Valletta Boat Show. 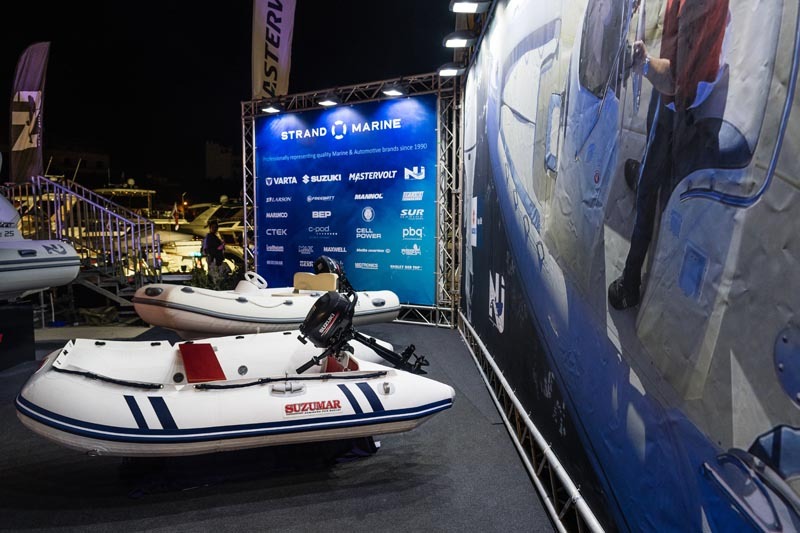 Since 2007, this annual maritime exhibition has grown steadily making it Malta’s largest boating event, attracting thousands of visitors. 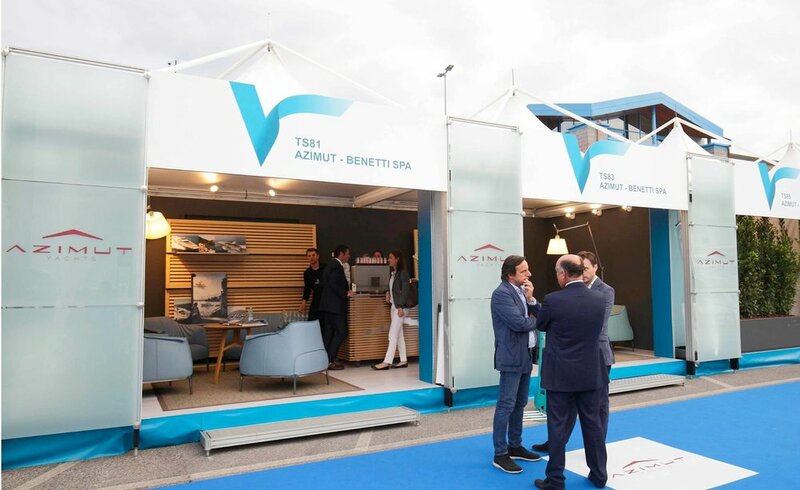 Our Group of Companies was present to showcase its large number of exclusively represented brands.The Valletta Boat Show also served as the Malta premiere of the Azimut 66 Fly. Also on display were Azimut Atlantis 43, Azimut 55S, Azimut 76 Magellano and a selection of second hand Azimut Yachts ready for their next owner, thus making it one of the largest Azimut displays to date in Malta. A reception was held for the launch of La Dolce Vita 3.0 on our stand where we welcomed our trusted partners, esteemed clients and their guests. We are proud to announce that Azimut S7, Azimut 60, Azimut Grande 27 Metri and Azimut Grande 35 Metri are all award winners at World Yacht Trophies presentation at the Cannes Yachting Festival! In the meantime, Azimut Yachts Malta announces the sale of the Azimut 60 Fly, Azimut S7, Azimut Atlantis 51 and Azimut Magellano 66 and is now the leading sales per capita in the World for the Azimut brand. Azimut Yachts are on the forefront of yacht sales in the world for the past 17 years! 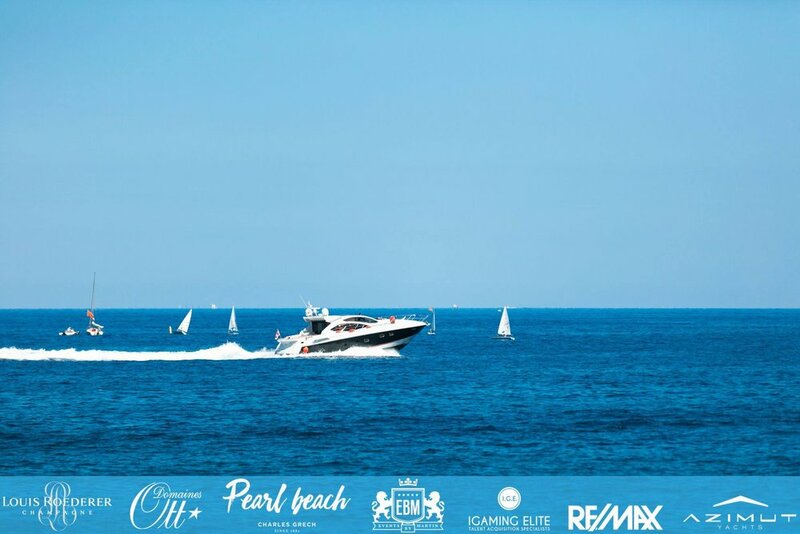 Esprit Yachting, representing Azimut Yachts supported the official opening event of Pearl Beach on Saturday 27th May. Versilia Yachting Rendez-Vous was the new Spring event designed to expand the horizons of the industry and anticipate market trends and is the exclusive international focal point reserved to experts, ship owners, captains, shipyard representatives, including vintage enthusiasts and collectors and all fans of marine world. Azimut|Benetti was present with a large number of models that were available for sea trials - such as the - ATLANTIS 43 | ATLANTIS 50 | AZIMUT 50 | AZIMUT 72 | AZIMUT 55S | MAGELLANO 53 whilst other boats were on display - AZIMUT 80 | AZIMUT 77S | MAGELLANO 76 | AZIMUT 95 RPH | AZIMUT 35 MT. 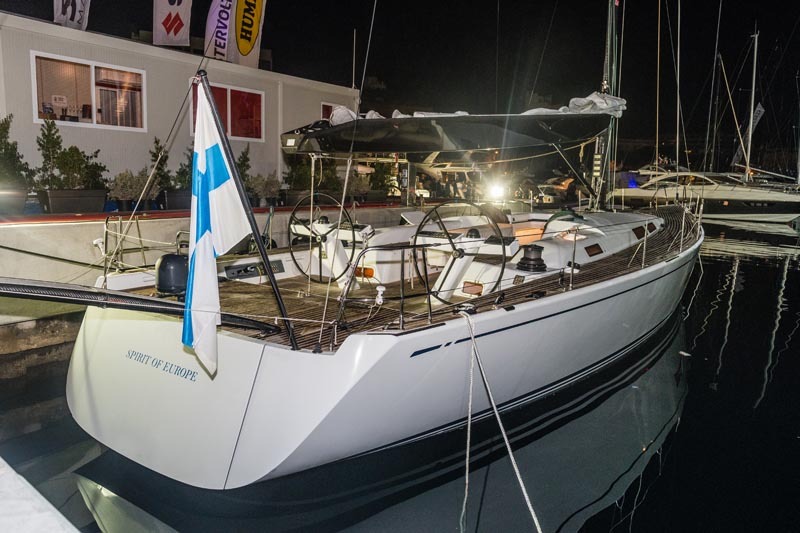 Esprit Yachts were present at the 2017 Second Hand Boat Show. 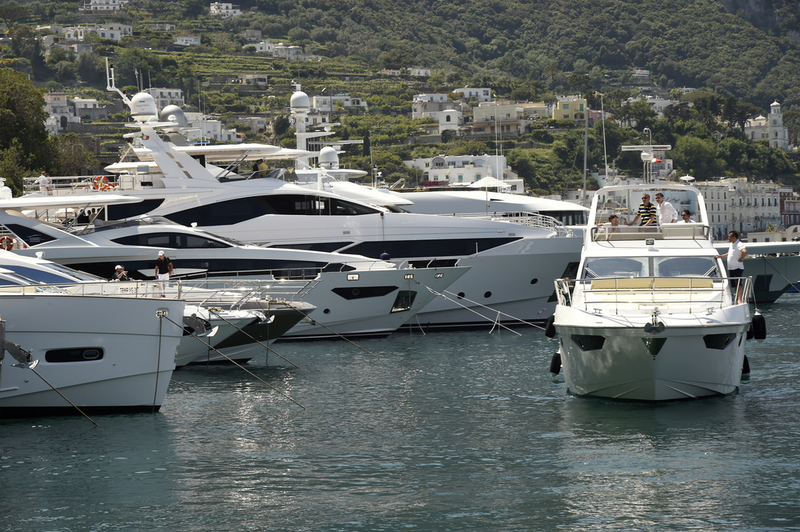 Though the Azimut Boutique, visitors to the Show were able to view the quality selection of second hand Azimut Yachts which were on display throughout the event. Once again the Esprit Yachting team attended the annual Boot Dusseldorf, one of the world’s largest water sports trade fair, set in an area of over 2.35 million square feet of presentation and event space. 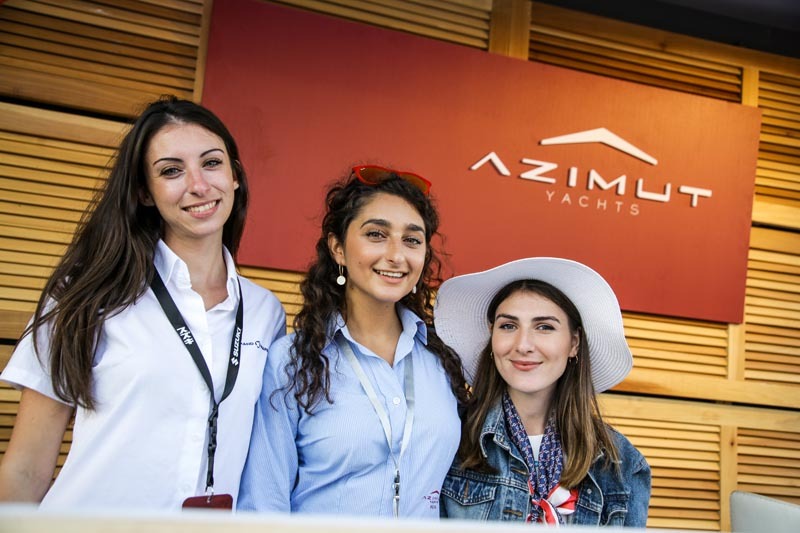 With over 1,800 participants presenting vessels of all types and sizes, Azimut Yachts were there to open the 2017 with seven of their yachts displayed on their stand. This year, Azimut Yacht’s stand exhibited the Atlantis 50, Atlantis 50 Open, Atlantis 43, Azimut 72, 77s, Magellano 53 and Magellano 66. The 2016 Valletta Boat Show saw the Malta premiere of the Azimut Grande 95RPH and the Magellano 66. Also on display were the Azimut 55S and the Azimut Atlantis 43 which is available for immediate delivery. Also on display was the Malta premiere for the Williams Minijet 280 together with the Williams 325 Turbojet and 460 Sportjet. 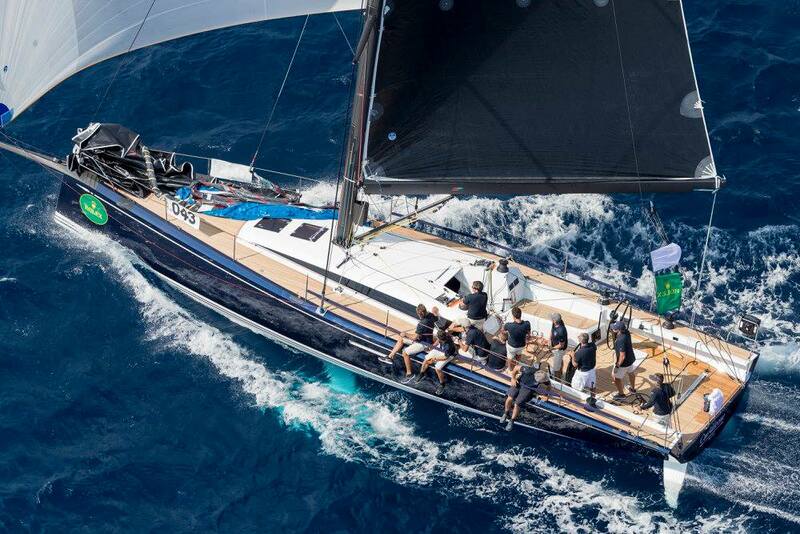 Esprit Yachting also formally introduced its newest member of the family – Nautor’s Swan. Esprit is the sole local agent representing a company who, for close to half a century has been the true sailor's choice. Set in the iconic Port Hercules of the Principality of Monaco since 1991, the MYS is the only place to admire, visit and purchase around 120 extraordinary one-off superyachts built by the world’s most respectful shipyards. 40 new launches are unveiled in world premiere at every edition. 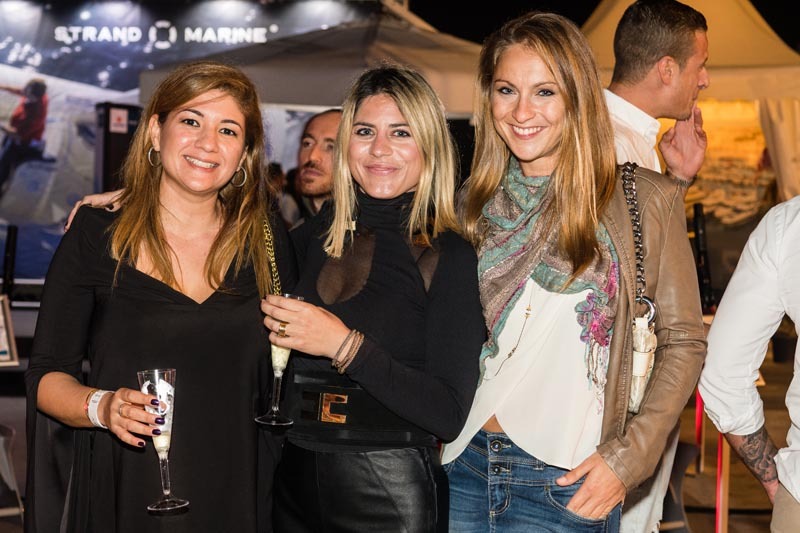 Over 580 exhibiting companies and partners participate in the MYS, among the world leading luxury yachting companies: the trendiest superyacht builders, yacht designers, luxury manufacturers and the most important brokerage houses. The Monaco Yacht Show is the one and only occasion in the year - and in the world - to discover the greatest of superyachting in the glamorous setting of Monaco. The show has the privilege of benefiting from the recognition and the support of His Serene Highness Prince Albert II of Monaco. 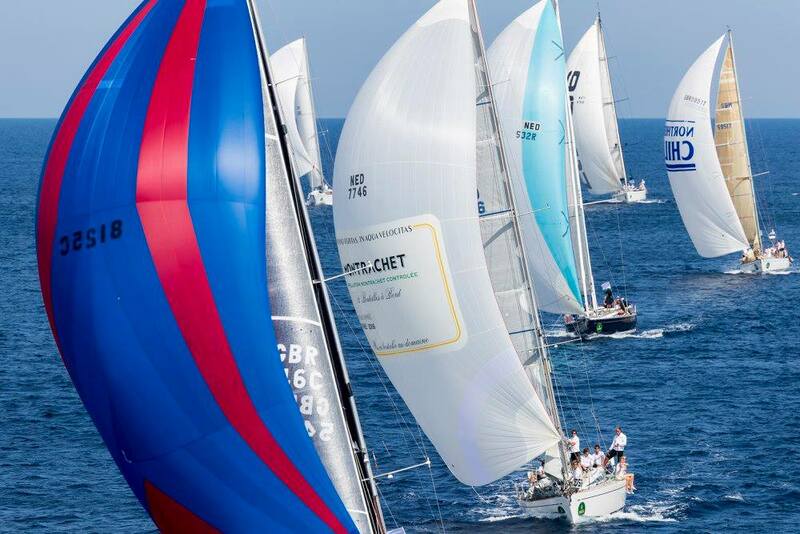 Esprit Yachting was represented at the 19th edition of the Rolex Swan Cup and Swan 45 World Championship in what was a record edition of the event organized at the Yacht Club Costa Smeralda. 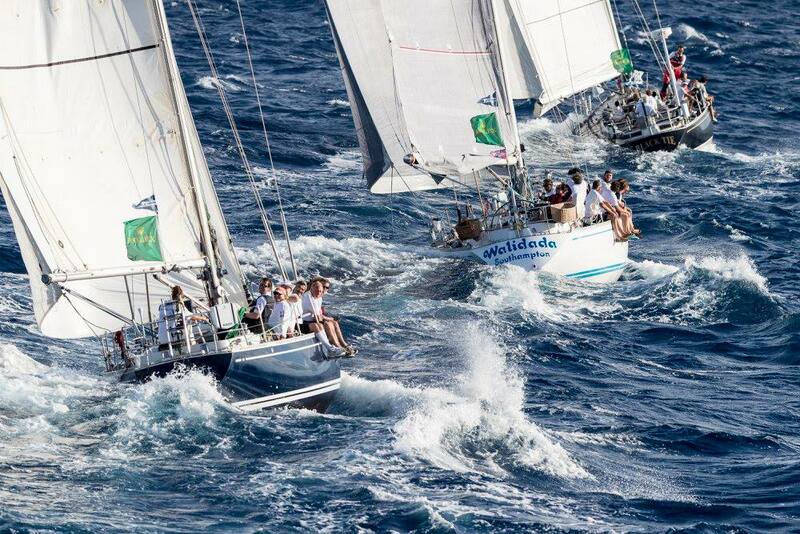 The event also marked the 50th anniversary of the Nautor's Swan shipyard, the overall winners in the various divisions after four race days are: Freya (Maxi), Arobas (Mini Maxi), Music (Grand Prix), Sleeper (Sparkman & Stephens) and Natalia (Swan 42). The new Swan 45 World Champion is Elena Nova di Christian Plump. 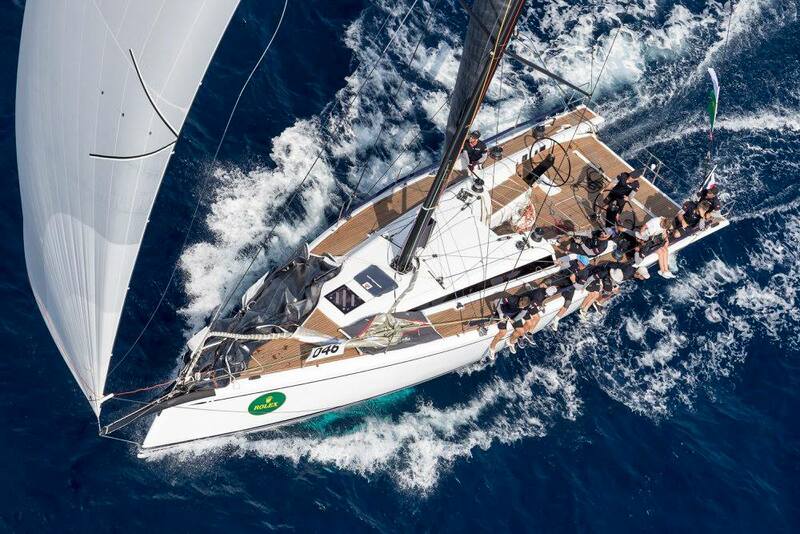 The event also marked the 50th anniversary of the Nautor's Swan shipyard, the overall winners in the various divisions after four race days are: Freya (Maxi), Arobas (Mini Maxi), Music (Grand Prix), Sleeper (Sparkman & Stephens) and Natalia (Swan 42). The new Swan 45 World Champion is Elena Nova di Christian Plump. 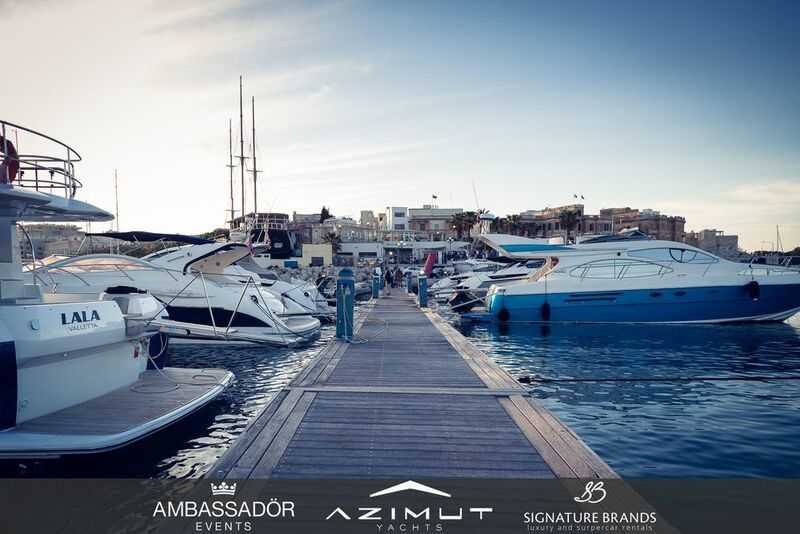 The new boat show season is about to get underway and this year Azimut Yachts, represented in Malta by Esprit Yachting, made appearance in grand style at Europe’s leading in-water boating event held in Cannes. The Italian brand in the Azimut|Benetti Group presented the most comprehensive overview yet of its full range at the Cannes Yachting Festival, held this year from September 6 to 11. The five Collections in Azimut Yachts’ range of unmatched breadth were exhaustively represented by 17 models, from the smallest in the fleet, the Azimut Atlantis 34, to the Azimut Grande 95RPH, which is riding high on the success of a series of striking novelties, including the raised deck and a flybridge offering over 60 m2 of space. But the star of the show was the Azimut 66, the iconic new yacht in the Flybridge Collection. The latest model launched by the Avigliana-based company, made its first appearance at Cannes, joining Azimut’s most classically styled collection and has already reported excellent sales and positive reactions from brand enthusiasts. The flowing lines designed by Stefano Righini and extensive use of carbon fibre, which significantly reduces the weight of the yacht and increases interior and exterior volumes, are the main features of a brand that has always stood proudly at the cutting edge. 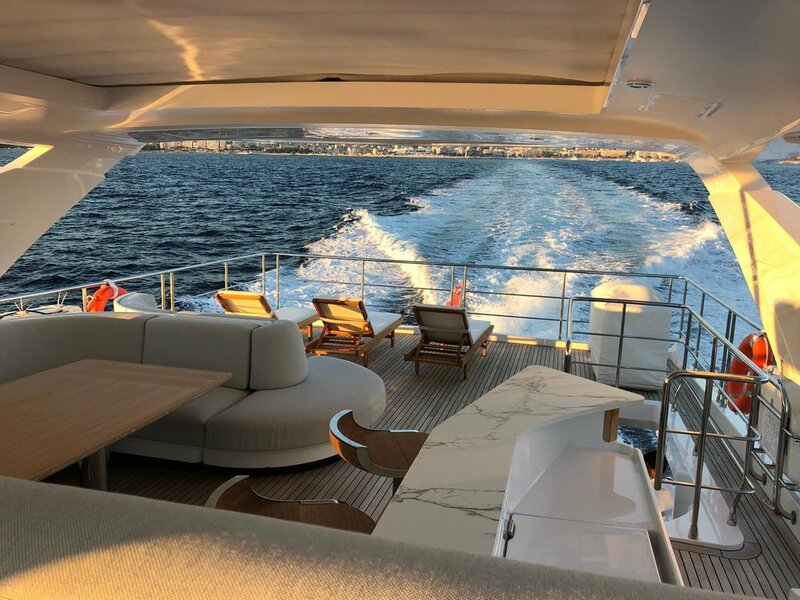 The models sharing the spotlight with Azimut 66 Fly at Cannes included thenAzimut Magellano 66, the 20-metre megayacht offering long range cruising freedom pampered by the comfort and elegance of home. The fifth model in the Magellano collection retains the distinctive Dual Mode hull from previous versions to guarantee comfortable cruising in any sea conditions and at any speed. Then there is Azimut 72 Fly, the predecessor of Azimut 66 Fly and already a worthy representative of the innovative concept it embodies. Making extensive use of carbon fibre, it stands out in particular for its elegant proportions, which express a sporty mood but without settling for any compromises in terms of space. Finally, of the smaller models on show, the sporty and determined Azimut Atlantis 43 deserves a special mention. The latest model in the Atlantis collection, it is a perfect testimonial for Azimut’s design flexibility and “Made in Italy” style, offering the chance to customise the interiors with fine Italian fabrics from Missoni Home and Loro Piana Interiors. The edgy style and consummate quality of the yachts on show are made possible, as always, by ongoing research and development, accompanied by the constant improvement of production processes and their implementation. These are the features that allow the Avigliana-based shipyard to set the bar for Italian excellence from every perspective. Azimut Yachts are exclusively represented in Malta by Esprit Yachting. Azimut|Benetti looks to the legend of Capri, the island that symbolises luxury and quintessential Italian style, for the brand’s Yachting Gala, the exclusive event for owners and enthusiasts of the megayachts designed by the world’s leading builder of them. Sea trials, special events and tours to discover the excellence of Italian taste, culture and consummate quality. On the weekend of May 21 and 22, more than 700 clients arrived on this legendary island from countries around the world, including the United States, Mexico, Brazil, the United Kingdom, the United Arab Emirates, China, Singapore and many others, to celebrate the splendid yachts built by the Group in an atmosphere permeated by the charm of the Italian lifestyle. 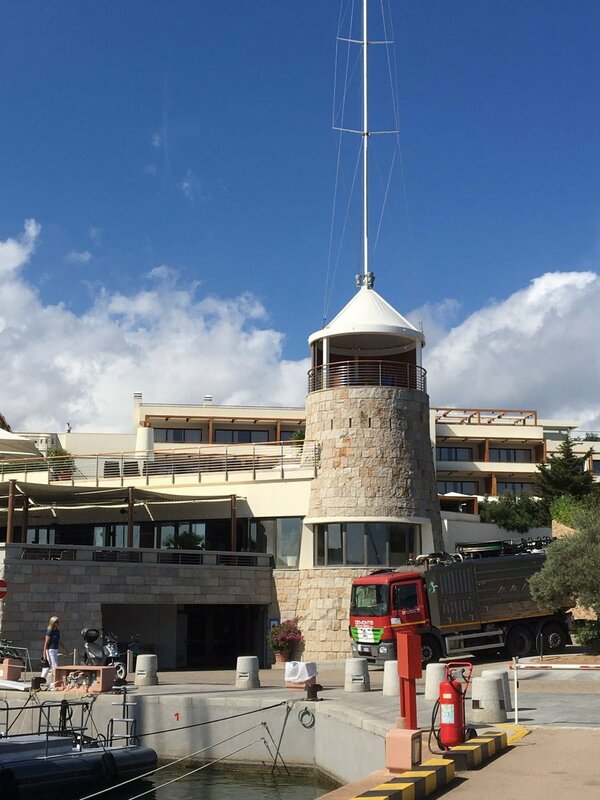 The Marina Grande on the island played host to a fleet of no less than 22 yachts, representing the Group’s entire range. Guests had the chance to experience these remarkable yachts, packed with design, power and technology, at sea in the waters off the Faraglioni, the Arco Naturale, Marina Piccola bay and in many other enchanting locations. 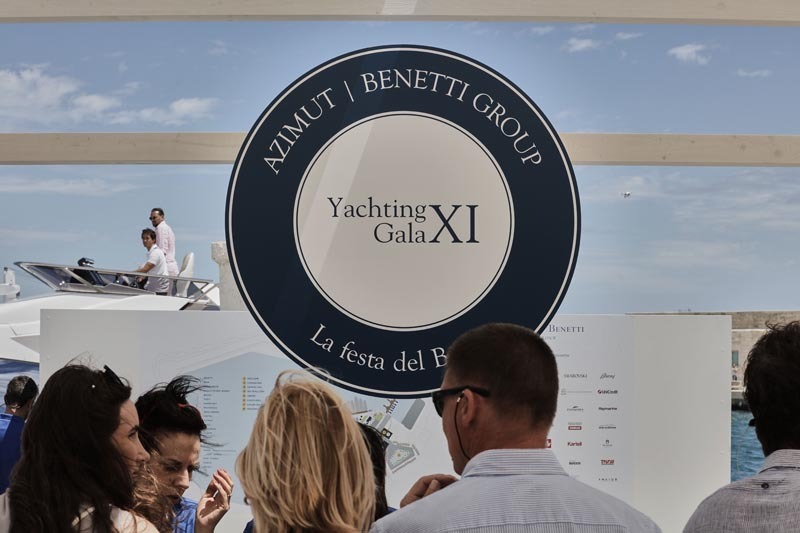 The Yachting Gala also provided an opportunity to celebrate the partnership with Rolls Royce and its futuristic Azipull Carbon 65 pod propulsion system, which has already been fitted to the Benetti Vivace 125’. So after Rio De Janeiro, Viareggio, Cannes, Monte Carlo and Portofino, our voyage through the world of glamour and unique yachts continues against the theatrical backdrop provided by Capri, where the culture, joie de vivre, passion, colours and scents of the Mediterranean blend together into a style that has been setting fashion trends the world over for decades. The Azimut|Benetti Yachting Gala is a sort of private boat show for the Group’s top clients, designed to give them the chance to admire all the latest novelties launched on international markets at the Cannes, Miami and Dubai boat shows: Azimut 66 Fly, the new icon in its category; the innovative Azimut 72 Fly, with a superstructure made entirely from carbon fibre; and Azimut Magellano 66, the latest model in the long range Italian style collection. Plus Azimut Grande 95RPH, which made its debut last season, and two Benetti yachts in the Fast Displacement line, Benetti Vivace 125’ (38 meters) and Benetti Veloce 140’ (42 meters). Ashore, our women guests in particular were the protagonists of an enthralling Capri Experience, with presentations and demonstrations by Carthusia, the celebrated perfume house, short trips to discover the hand craftsmanship of famous sandal designer Emanuela Caruso and guided tastings of the original ‘Limoncello from Capri’. 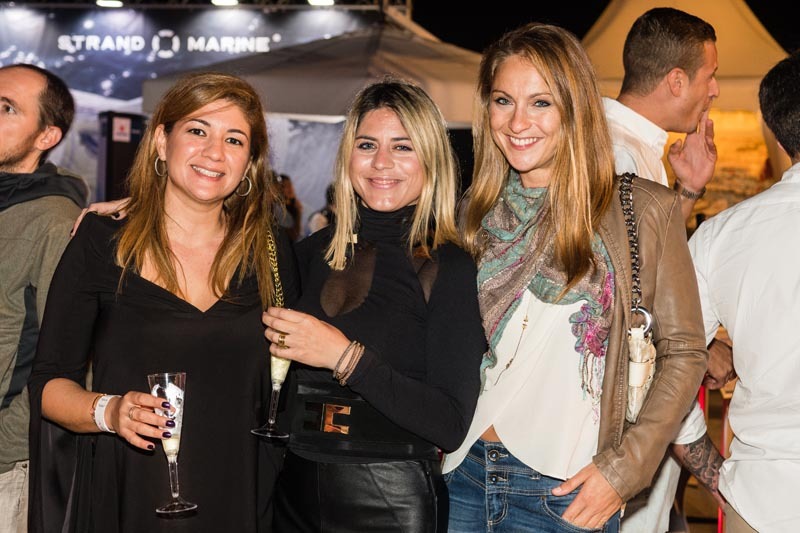 Other Yachting Gala partners of excellence and paladins of Italian luxury and style were on hand to provide courtesy cars, organise spirited wine tastings and offer relaxing beauty sessions to the ladies present. Our guests also had the chance to spend precious hours in every sense with storied jewellers, who took them on a remarkable voyage of discovery to explore this fascinating world of precious gemstones. An exhibition of vintage clothes from round the world and a cocktail party also proved to be a great hit with guests. Tours were organised to discover the island’s natural and cultural attractions, taking visitors both inland to admire the medieval churches and wonderful views, as well as to Anacapri, to enjoy the spectacular gardens and breathtaking view from Monte Solaro, in addition to excursions to the Grotta Azzurra. 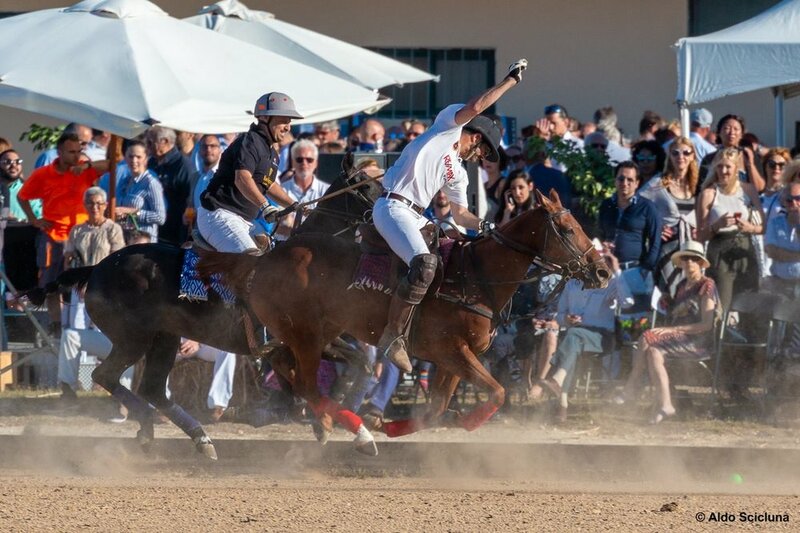 The social highpoint was the gala event on Saturday night, staged at La Canzone del Mare with its spectacular seafront terrace looking out over the Faraglioni. The evening began with a warm and elegant welcome for guests offered by a tarantella folk dance group, followed by dinner and entertainment. The combination of delicacies from Capri, the exclusive setting, live entertainment and gourmet areas inspired by the famous atmosphere of the Amalfi coastline were a resounding success with guests. The traditional parade of Azimut and Benetti yachts, illuminated by a magical light show, was followed by fireworks which gave the signal to start the festivities at Anima e Core, the iconic Capri night club with a cult following where the dancing went on into the early hours of the morning. The event’s positioning and impact struck a chord with the entire island, arousing interest both from the local population and visitors. The general opinion was that this magical and stylish event will be remembered for a long time to come. The Azimut|Benetti Yachting Gala represents a key opportunity for the Italian Group to showcase its entire fleet to a select audience of cosmopolitan international owners, in a setting permeated by values, experiences, atmospheres and emotions that reflect the culture of excellence which is an intangible feature of our Italian heritage. That ‘mark of origin’ which makes us unique and inimitable in the world. 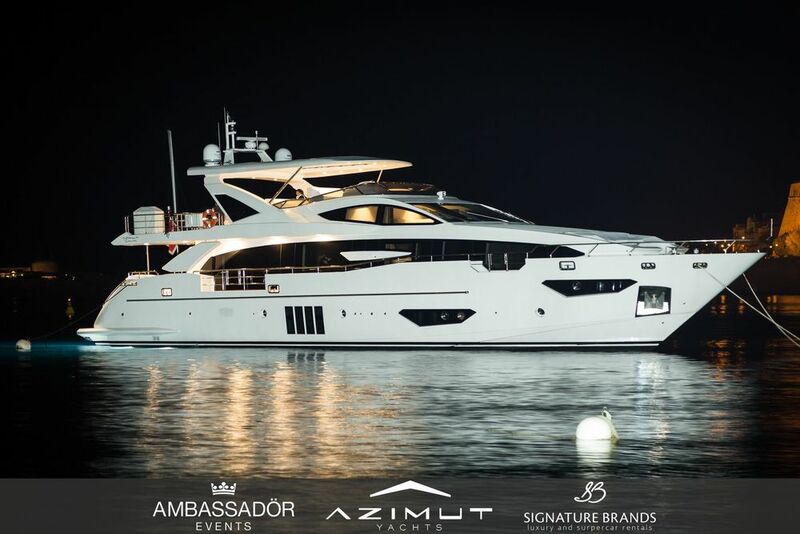 Esprit Yachting, representatives of Azimut Yachts in Malta, have officially launched the Azimut Charter Club, the first worldwide franchise under license from Azimut|Benetti S.p.A and in the process putting together the largest selection of Azimut Yachts available for charter in Malta. The Azimut Charter Club provides clients with bespoke charter packages, whether for a day, weekend or longer. 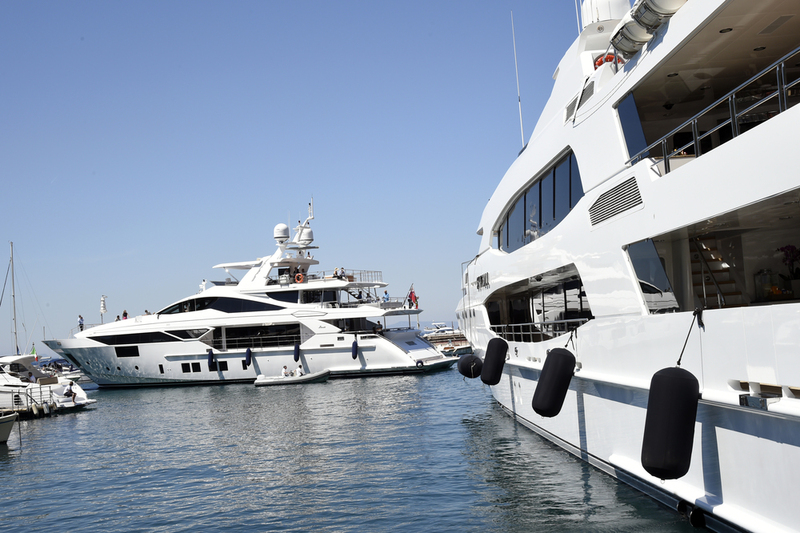 The Azimut Charter Club team will design tailor-made programmes designed to suit varying and discerning clients’ needs. For AZIMUT owners the club offers completely hassle free charter management and the opportunity to offset annual running costs with charter revenues. Esprit Yachting has just returned from Boot Dusseldorf, one of the world’s largest water sports trade fair, set in an area of over 2.35 million square feet of presentation and event space. 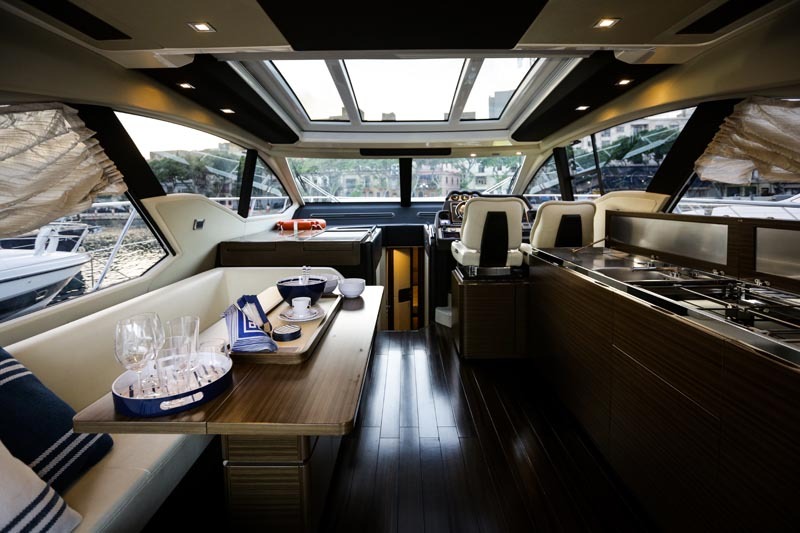 Azimut Yachts hosted the world premier of the Flybridge 66 as well as displayed four other models - Atlantis 43, Azimut 50, Azimut 77s, Magellano 43 models and will be hosting the world premiere of the Flybridge 66. 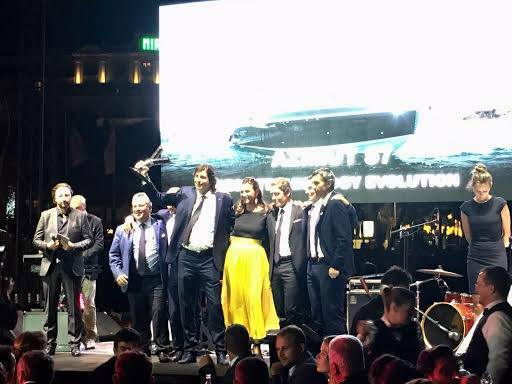 Esprit Yachting recently celebrated the Malta premier for the latest Azimut Yachts - Azimut 55S, Azimut 43, Magellano, Atlantis 34 and Atlantis 43, Azimut 50 Flybridge. During this celebration, in collaboration with Edwards Lowell Company Ltd and Cars Unlimited, we showcased the Ferrari 458 Speciale and the 458 Spider together with the Ferrari Collection from Hublot.